When it comes to writing and making letters for businesses, it might pay to use formal letter templates that can save you time. After all, there are all kinds of templates that you can use to help with such purposes like donation application form templates. In the case of forms, this should make it easier to use regularly since you have an easily renewable resource that can be used every time someone intends to apply for a donation. However, even if you were to use donation letter templates or other tools to help with your work, it still pays to be aware of some of the elements involved in using such tools yourself. A template is really only a tool, so there is the need to understand what they can do and what you would need them for. This can serve to help you make the most of such tools since you understand them completely, which can be applied to using them regardless of the specific situation. You may have noticed that there are a number of different kinds of donation application forms available for your use. That is due to the number of potential purposes you could use them for, from research to catering. As such, it would be to your advantage to know about these purposes to better prepare yourself to tailor your own forms to whatever specific purpose you would need them for. This would go some way to making sure that you are using such documents properly, which can allow the forms to serve you properly. Perhaps the most obvious use of donation application forms is for charitable and non-profit organizations. 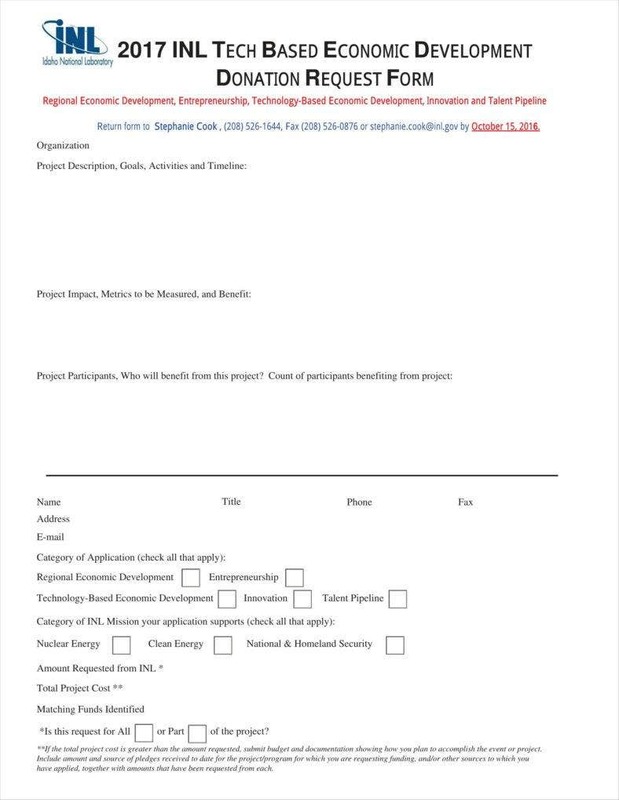 Since such organizations do not expect or intend to make money by their operations, they would need tools like sample donation letters in order to secure funds in order to carry out their operations. 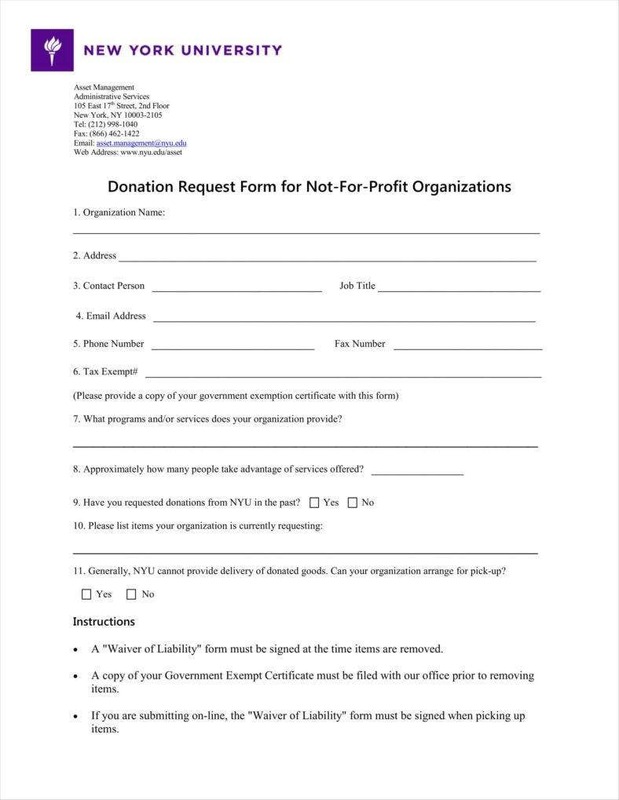 Potential donors and sponsors can maintain their own form templates that they can use to gauge the worth of any such charitable organization that might ask for donations. Maintaining donation application forms can also have more utility than one might expect, such as making it easier to keep track of donations, which would have consequences in the event that you and your recipient would want to avail of tax reductions. Another prominent use for donation application forms is in the case of research. You might be familiar with universities or government organizations providing funding to researchers to enable such research to achieve results. As such, it is entirely possible for you to maintain request letter samples and application forms precisely to allow potential researchers to apply for the funds they would need in order to conduct their studies. While this can be for academic purposes, as would be the case with universities and governments, it is also possible for companies to fund their own research, if so that they can find a way to profit from the research. Whatever the exact purposes any entity might have for enabling researchers to request donations, they can still allow researchers access to the necessary capital for them to work. 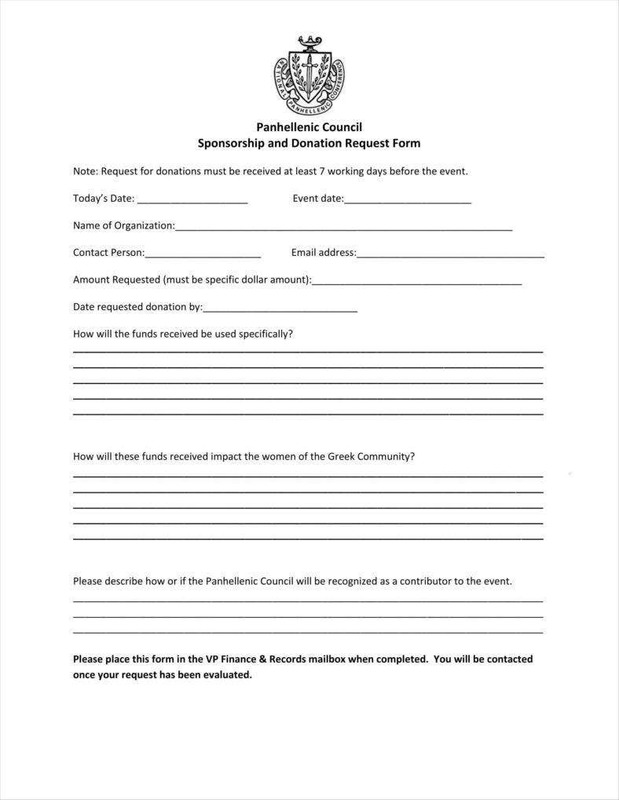 Organizations in a position to donate funds or other materials can maintain their own donation application forms to facilitate sponsorships between themselves and their recipients. After all, sponsorship letter templates and other similar tools are readily available so that you can make use of them for yourself. Of course, these forms would need to specify other pieces of information, such as what you can expect to receive from such organizations in return for your financial assistance. However, as a sponsorship application, you ought to include space in the form for that information in the first place. 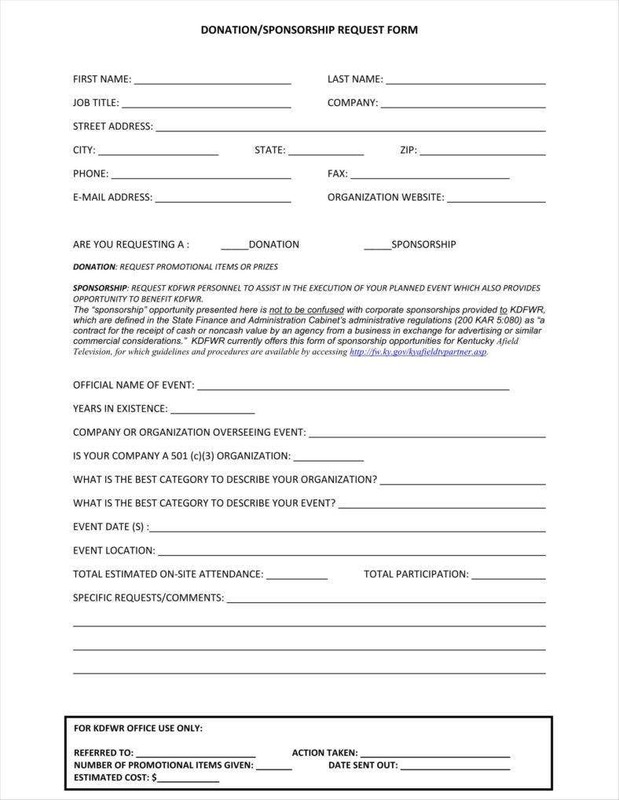 Unlike other examples of donation application forms, however, these forms are meant to facilitate a different kind of relationship, which is clear from the fact that you would be working very closely together due to your having a sponsorship arrangement rather than making a simple donation. It is also possible to apply for direct financial aid for small businesses. This can be done in order to promote local economies, which some local governments would have an interest in. In a way, you can see this as something of an investment in that you would expect the business to contribute to the local economy, which is likely how you expect to get something back from the donation, as opposed to becoming a sponsor or benefiting from research. 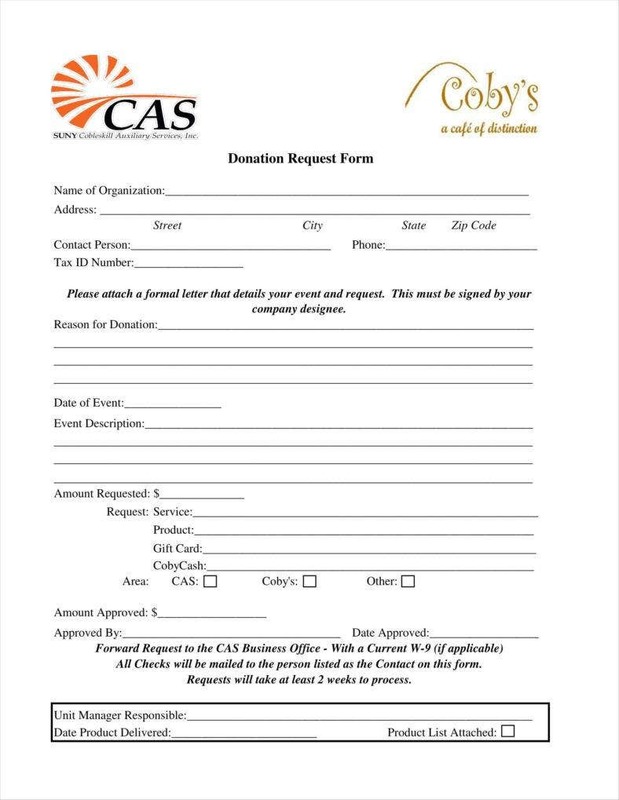 You can also use these forms to facilitate donations of other resources than money. For example, your forms might have to do with enabling or applying for some kind of medical purpose, such as if some wish to donate organs for charity or research. 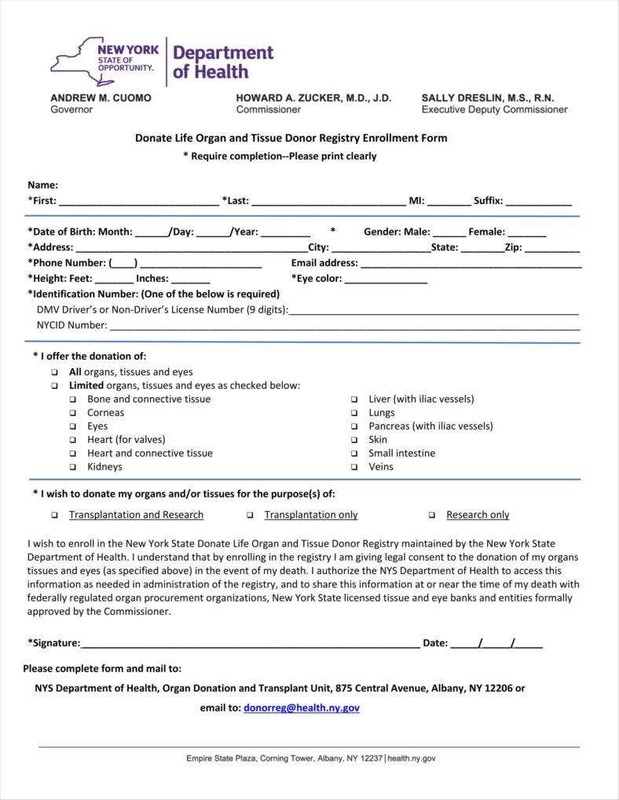 Hospitals would have a need for free request letters and forms in order to enable such parties to donate organs, if only to ensure that the process goes through some kind of official channel, which help prevent any legal difficulties. 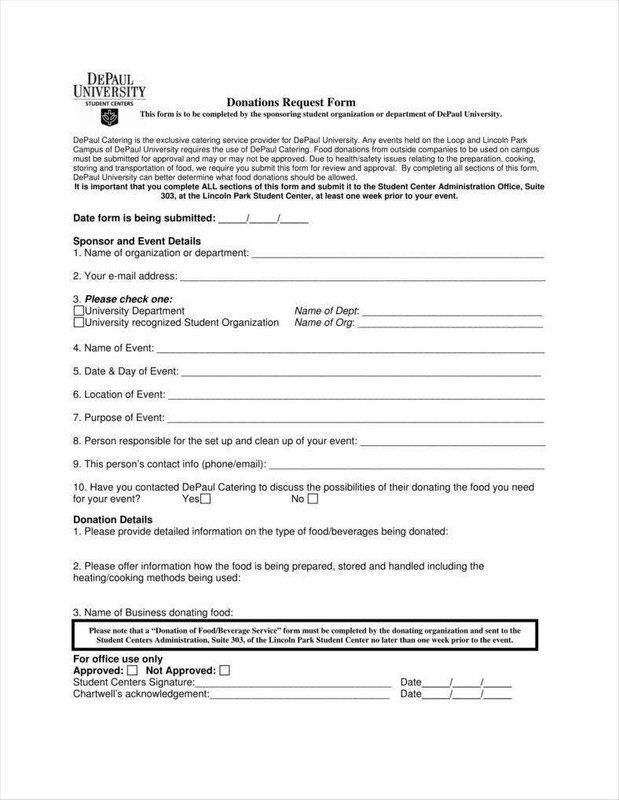 Another thing you would need to understand is exactly what functions donation application forms have. You can make the argument that no document has only one function as there are a number of needs such documents can satisfy. There can even be some measure of overlap, as some letters like sample thank you letters for donation can overlap with acknowledgment letters that can provide some measure of legal protection whenever you are involved in such a transaction yourself. In a way, donation application forms are much like request letter templates in that they are tools that can enable parties to make requests of other parties in a position to provide them with what they need, such as donations in this case. You can even make the argument that the most obvious use of these donation application forms is that they allow their users to formally state a request for donations. 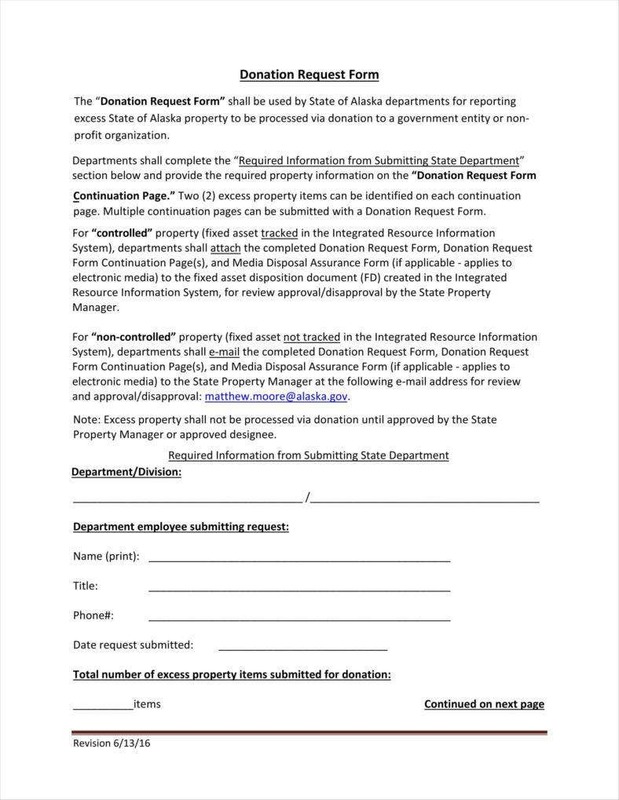 After all, how else are potential donors to know of a potential recipient’s need if not for forms like these? 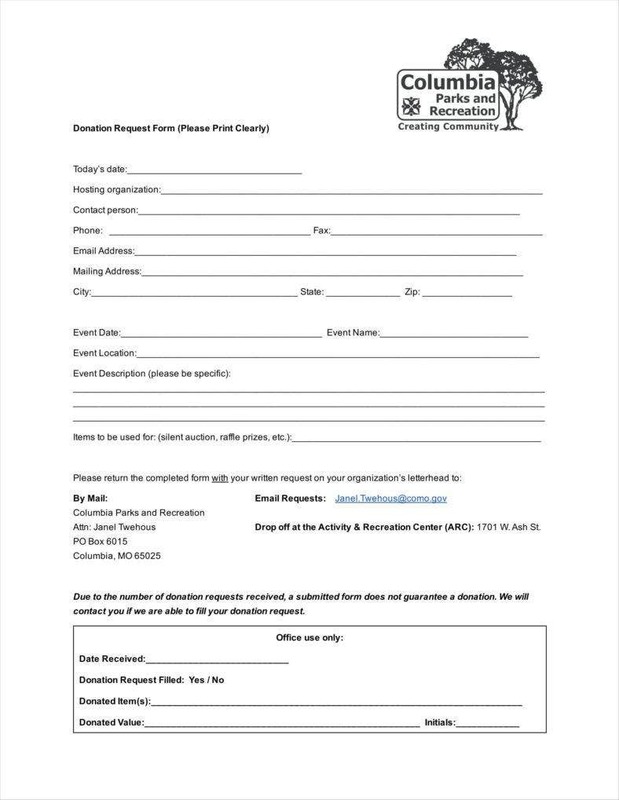 That these forms exist give you and potential recipients a system for requesting donations that can make the task of procuring donations flow more smoothly. This serves to give you an orderly system that can channel any solicitations for donations. Looking at some sample donation forms can show you that there is quite a bit more to requesting donations than just making the request. It is only natural for you to request some of the reasons for a donation in order to make sure that you have some context as to what the funds will be used for. After all, you do need some assurances that your donation will be used for a cause that you think is worthwhile. If you were to donate to a cause, you would have some interest in making sure that your donation would actually be used to advance that particular cause. It should be noted that listing the specific purpose for a donation can also serve to assure you that the funds are being used responsibly. No one would really want to spend money on a cause only to be told that the funds were misused; hence, there is the need for this function in your forms. In a transaction such as this, it is important that you have a way of identifying whoever is making the request. After all, you would definitely need some way of keeping track of whoever solicits donations from you. This can make the task of keeping records of your donations simpler since you can always match the names to specific amounts. Having your recipients list their names also makes it easier for you to verify that their donations are legitimate so you can assure yourself that they really plan on using the donation responsibly. At the least, having the name of the requesting party can make it easier for you to understand whose name you should include on all the documents, which can make the processes involved with the donation itself flow more smoothly. In these kinds of arrangements, it is also vital that you and the other party have some means of contacting one another. In that case, it is fortunate that the forms can do just that since solicitors can actually include their contact details for ease of contact. You can include your contact information so that your recipients can get in touch with you as well. This can make your arrangement all the easier since you can be more or less assured of communicating with one another if necessary. 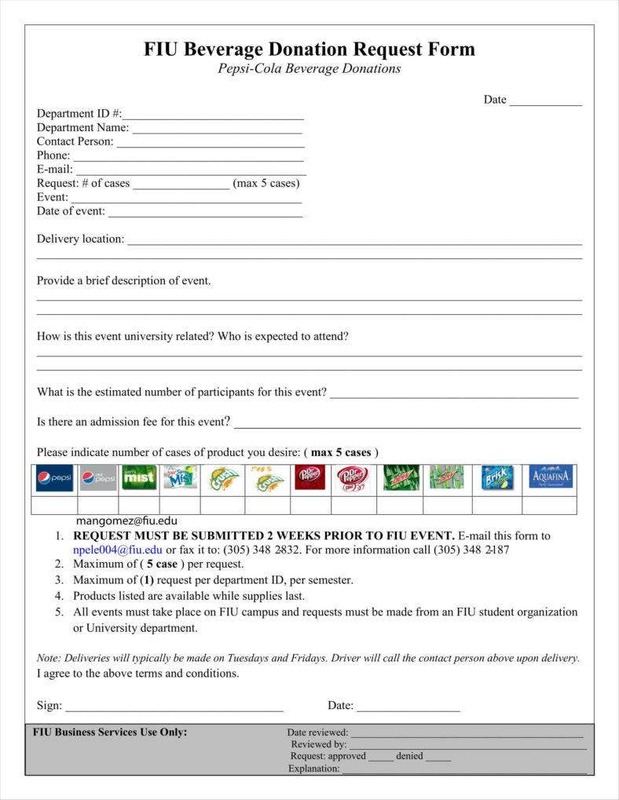 This can be the case in the event that you need to confirm any arrangements as might be the case with a sponsorship or an event. Your recipients may also need this information in order to follow up with you or confirm receipt of the donation, so it is clear that this kind of information can pay off well for you. It is also possible to use these documents for future reference since the documents of any kind of transaction can help contribute to having a consistent record of that particular transaction. You can use these forms for precisely that purpose since they can serve as written records by default. As a matter of fact, it is generally wise to maintain such written records of any donation since you would need them in order to avail of any advantages that would come as a result of the donation. For the donor’s part, this can help confirm that they are a non-profit organization or something similar. On your part, these written records can help secure tax reductions for yourself as the authorities would require written records of the donation in order to give you the reduction. When it comes to requesting donations, it goes without saying that those seeking a donation would have to include exactly how much they need. This allows you to understand exactly how much you would have to donate in order to make sure that the cause has everything it needs. Aside from this, it allows you a look at what would be required for the project to work. Any request letter templates you maintain would also need to specify this in order for you to have a clear idea of how much would be asked of you specifically. Naturally, this also ensures that you can donate an amount proportionate to the resources you actually have. This function does extend beyond just money. If your recipients need something other than money, it is possible for them to specify what resources they need in the forms so you will know what they need for them to be able to work. It is also vital that your forms have space to include signatures, both yours and your recipient’s. This is generally a requirement for similar documents such as HR acknowledgment letters as this allows both parties in similar transactions to verify whatever is written in the rest of the document. 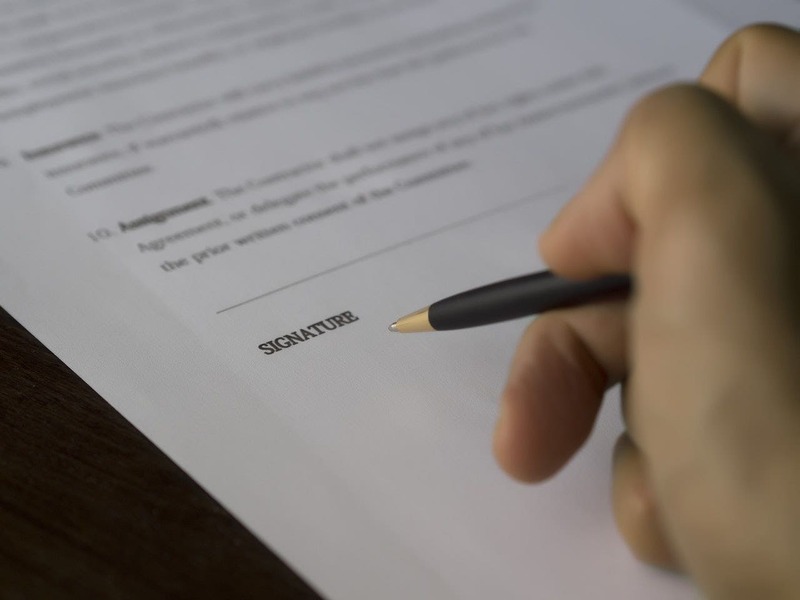 After all, the signature is generally at the end of the document, which would allow both parties to go over the document and confirm that they are in agreement with the contents. This can serve as the final confirmation before you and the other party finally go through with the arrangement, which can prove useful if you find something that gives you pause before finalizing everything. With these insights, you should be better prepared to make and use your own donation application forms, which should be useful in the event you ever desire to let other parties request donations. After all, these tools are meant to streamline your work, so it is important to have these insights in order to be sure that you are making the best possible use of them.